Samsung is the global leader when it comes to overall smartphone shipments but it is not above picking little quarrels with rivals. We have seen Samsung take a dig at Apple (ironically, one of its biggest customers too) but it is now targeting another brand that might challenge its position as the leader. Trying to steal limelight away from the OnePlus 6, Samsung has now announced a giveaway contest that coincides with OnePlus 6’s debut sale which began today. The winners of this contest will stand a chance to earn a Galaxy S8. The contest is valid only for Indian users. While Samsung does not explicitly name OnePlus, it has been using the hashtag “#MoreThanJustSpeed” which is a clear dig at OnePlus 6’s ‘The Speed You Need’ tagline. To participate in the giveaway, Samsung is asking followers on Instagram, Facebook, and Twitter to solve a set of easy anagrams. 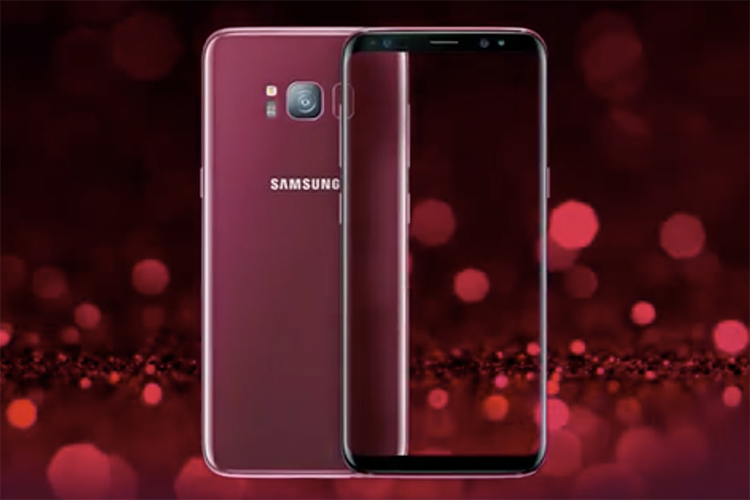 But, getting the right answer is not enough as Samsung wants you to include the hashtags “#GalaxyS8BurgundyRed” and “#MoreThanJustSpeed” in each response. Based on these responses, users who have deciphered the anagrams correctly will have the opportunity of winning a Galaxy S8 in Burgundy Red color, with the winner decided through a lucky draw. Samsung is convinced that its last year’s flagship has enough to take on this year’s OnePlus 6. With this promotion, Samsung is also marketing features like Samsung Pay and water resistance that the OnePlus 6 lacks. No more fumbling around for your wallet, be revolutionary in how you pay! Rearrange the letters and guess this amazing feature that makes the new #GalaxyS8BurgundyRed so much #MoreThanJustSpeed. Participate and win a Galaxy S8. Contest T&C link in bio. You have a better chance of winning with multiple comments, though spamming might also get you banned from the contest. You can participate in the contest until tomorrow (May 22) evening at 11:59PM and the winner will be declared four weeks later. Try your fortune and start by commenting on one of the posts above to win one of the three Galaxy S8 units that Samsung is giving away.